As a mother of five children I am all too familiar with the phrase, “Mommy, my tummy hurts!” Tummy trouble caused by painful gas, food or drink intolerance, junk food overload, or just plain nerves occurs in American babies and children every single day. My seven-year-old daughter suffers from child anxiety which often leads to stomach aches. My husband and I tried several over the counter remedies but found that many of them contain harmful chemicals or worse have side effects. Thank goodness I found Tummy Calm, an all natural homeopathic remedy for gas and stomach aches for infants and children. The first and only homeopathic anti-gas drops for children sold in America, Tummy Calm provides fast relief of stomach aches and the accompanying gas, bloating, cramping and more. When I gave my daughter tummy calm for her stomach ache she found relief within ten minutes. It helps take care of digestive pain and stimulates self-healing. Tummy calm is safe to give to infants for colic, hiccups or teething and children 12 and under for gas pain or digestive trouble. 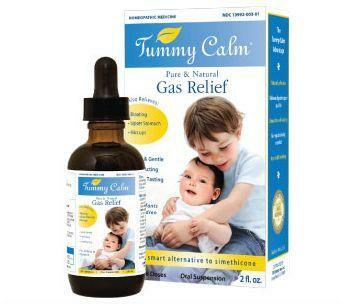 For more information about Tummy Calm natural gas relief visit TummyCalm.com. *Disclosure: I received a bottle of Tummy Calm pure and natural gas relief in exchange for this review. All opinions are accurate and 100% mine. It’s summer…The kids are out of school! Day care panic! The Homeopathy & Ayurvedic Medicine deals with homeopathic remedies and Ayurvedic health care system which follow different philosophy in curing disease. Ayurveda believes in preventing disease while homeopathy is based on curing a disease. Homeopathy and Ayurvedic are two streams of natural remedies that are the basis of alternative as well as holistic medicine. Deepthi, thanks for your comment. Yes Homeopathy and Ayuvedic Medicine are both wonderful alternatives to traditional over the counter medication.